Simple Finds | Simple Finds offers one-of-a-kind antiques, modern furniture, pelage furs and more! Our Fine Fur Selection carries the latest trends in the fashion industry. Visit our online store to find your unique piece. Pelage Fur Boutique has the latest trends from the fashion industry. We carry a wide variety of fur coats and jewelry; styles from new to vintage. The quality of our coats and jewelry is impeccable – and nothing but the best will do. Call and get a one on one consultation to help guide you through our unique jewelry and fur coat collections. Interested in renting space at Simple Finds? We’d love to hear from you! Our Merchants sell everything from traditional antiques to mid century pieces, modern furniture and decor to jewelry, art and more! All the information you need to get started can be found by clicking the link below. Have some items that you’d like to get rid of? Let us help you sell your furniture, jewelry, fur coats and other items. Be the first to get notified of our Sales! A familiar concept within the antiques, interiors and vintage retail-world. A familiar concept within the antiques, interiors and vintage retail-world. We are located in the old, iconic Castleberry’s Treasures – For Your Home building, at the intersection of Chamblee Dunwoody Road and Peachtree Industrial Boulevard. Simple Finds is approximately four miles from Perimeter Mall and within seven miles of Phipps Plaza and Lenox Square. We are just minutes from Old Town of Chamblee and very close to I-285. 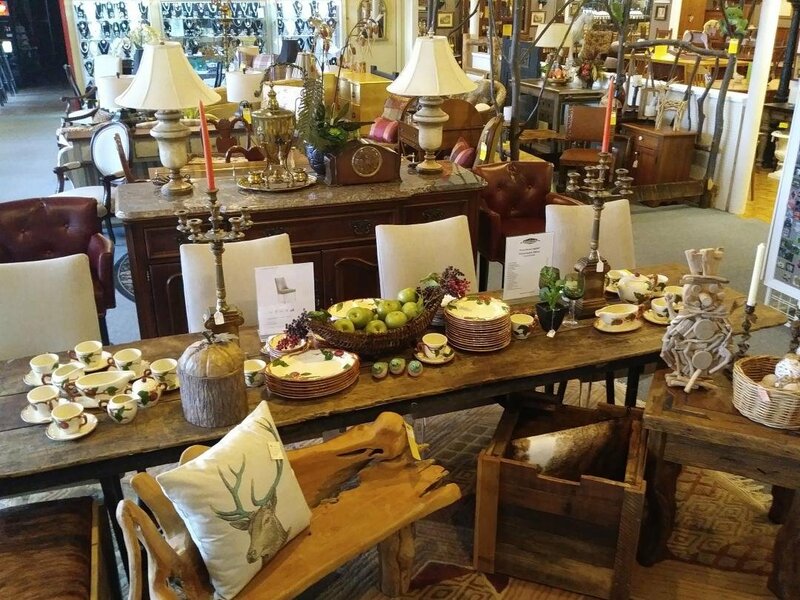 Simple Finds also offers a consignment service – primarily focusing on furniture, we work with our consignors to display their items, creating vignettes which highlight the many unique items that pass through the store. The inventory changes daily and varies widely, so please check in with us often – you never know when that “just what I was looking for…” piece will show up. Our name says it all – Simple Finds – and we truly want to make it that kind of experience. We are excited at joining the Chamblee Neighborhood of shops and look forward to serving you, your family and friends. Are you looking for something specific? We can help! Let us source those hard to find items for you! I looooooooove this place!!! They have such a variety of things. So many one of a kind items and an AMAZING staff to help you find EXACTLY what you’re looking for. I have bought a number of things from here and will definitely be back! Fabulous store with something for everyone. It’s 25,000 sq. ft. with a wonderfully eclectic and diverse mix of furnitrure and accessories. 125 dealer booths and 3 showrooms of consignment with a friendly and helpful staff If you can’t find it here, then it can’t be found! You’ll love it! So in love with the layout and customer service. I’ve not experienced a consignment/dealer store so clean in my life! Every time I go in, the store has new merchandise. Making it a NEW experience each and every time! I love it! Definitely a 5 star for me. 3614 Chamblee Dunwoody Rd Chamblee, GA.
Do you have something that you'd like to sell? Fill out this form and we’ll get back to you soon. Shop online with us here! Designed and Hosted by Mythos Media. © 2018 http://simplefindsga.com All Rights Reserved.